There are few different types of vacuums with which most people are familiar. The upright bagless has in the last few years made big gains in market share. However, even though there are some benefits to a bagless upright vacuum, the clear winner as far as versatility, utility, quality, and reliability is the canister vacuum. They do have a couple of disadvantages but these shortcoming are not enough to even come close to outweighing the great benefits provided by canister vacuums. Canister vacuums are thought of as old fashioned, but they have a clear advantage over bagless vacuums such as the Dyson. 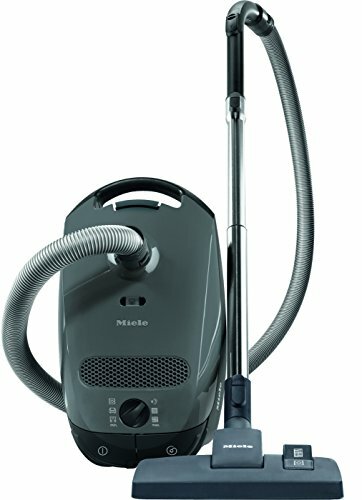 There are high quality canister vacuums which outperform a bagless upright in every way, and also help air quality since they trap most of the dust they come in contact with in the bag. The primary benefit of a bagged vacuum is that of cleanliness, especially when it comes to dust and allergens. Bagged vacuums provide a much higher level of dust containment, both during operation and disposal. In addition to the basic capability of trapping dust better than other types of vacuum, bagged vacuums often have a secondary HEPA filter which make them an even better choice for allergy and asthma sufferers. There isn’t a particular type of vacuum cleaner which is ideal for hardwood floors, but if the only surface you have in your home is hardwood, then you don’t need a very powerful vacuum cleaner, so you can consider other aspects which might be more beneficial. If you are considering an upright vacuum, then make sure that the model you are considering offers the option of turning off the rotating brush as it will tend to scatter around dust and crumbs. This will give you the flexibility in case you need to vacuum a bathroom or door mat. The ideal for low traffic homes with no kids is a cordless bagless for ease of use and mobility. Since carpet comes in a variety of piles (low to high), the type of carpeting you have will make a big difference in which type of vacuum is the best for your home. High pile carpeting requires a very powerful suction (which are provided by canister vacuums), but it may also be necessary to have a vacuum which offers a rotating brush (which is provided by upright vacuums). If you have a mix of carpet types then a canister vacuum is probably he most versatile as it offers the most suction (on average) and also has attachment options which can be useful for high-pile carpeting. As mentioned above the bagged canister vacuum is the ideal option for allergy sufferers. The combination of contaminant containment, and the availability of HEPA filters make bagged canister vacuums the best option for allergy and asthma sufferers. Canister vacuums do require more maintenance in the form of changing bags, and initial assembly, but they are an overall winner when it comes to reducing dust and allergen contamination. If you have a pet and require special features for picking up pet hair, then there are a variety of options in all form-factors.